Vacation rental house. Sleeps 6, 2 bedrooms, 1.5 bathrooms. No pets allowed. Looking for a home with a spectacular view, comfortable amenities, and a convenient access to town? Then Blowing Rock Skies is just for you! 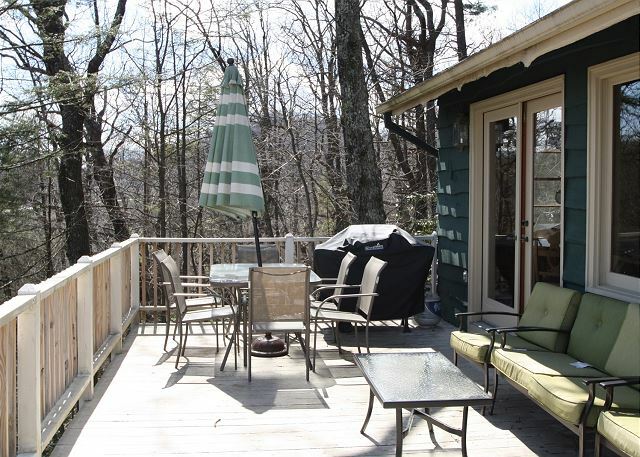 With its close proximity to Blowing Rock, this cozy, two bedroom cabin is perfect for the weekend warriors visiting the area, who might be looking for their next outdoor adventure. 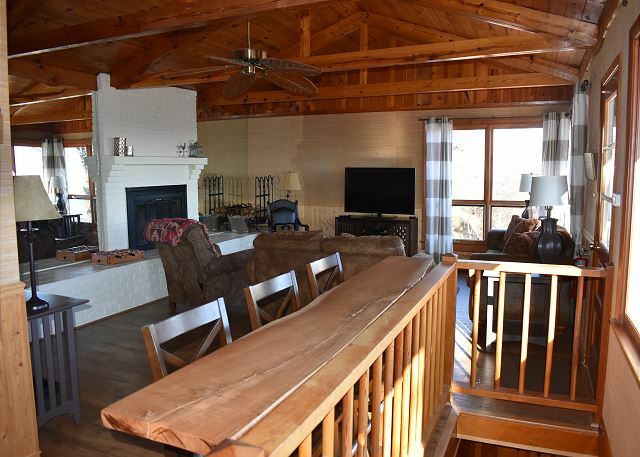 Located just off Hwy 321, the house features a comfortable living room area, centered around a wood-burning fireplace. Spacious dining options with table seating for 4, and a view bar for 3. Full kitchen includes electric range, microwave, and refrigerator. Off of the dining room is the deck area where you can stretch out in a chair and relax with a glass of lemonade and a good book. Downstairs is the sleeping area with two bedrooms and hall bath. The guest bedroom includes two Queen bed, flat screen TV, and a stacked washer/dryer in the guest bedroom closet. The master bedroom features a King bed, large flat screen TV, ceiling fan, and lower deck access leading to the outdoor fire pit. Central A/C. Four wheel drive required in winter weather. Recommend parking for one vehicle only. No pets. Cozy house, clean and spacious enough for 5-6 people. Views were amazing. Kitchen had basics. In the winter would probably need a 4wd car to get to house down a steep dirt road. 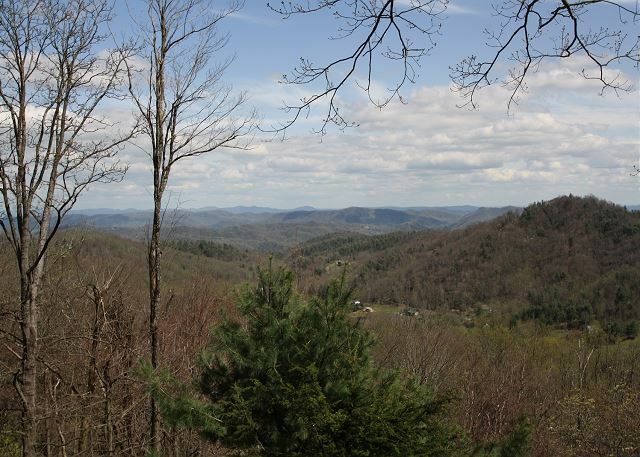 good location <5 mins to blowing rock. linens are not provided but you can rent them for addition fee or bring your own (which we did). The perfect mountain weekend getaway! Cozy and warm cabin with mountain views you could stare at all day. It’s the feeling of being remote, with the convenience of being a few short miles from downtown. You cannot ask for anything more! Great for small families or a few friends to enjoy together! We enjoyed our stay here. Lots of nice hikes in the area! 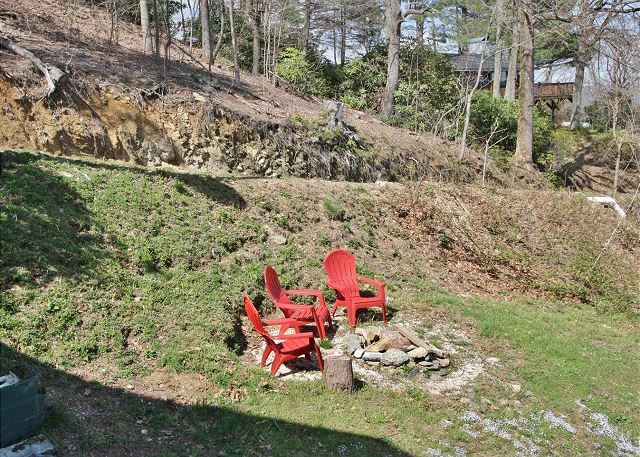 The property was as described, clean, quiet with wonderful views. Our family of 5 loved this cabin! It was just right for our mountain getaway! The view was SPECTACULAR!! The bedrooms were very spacious and comfortable. The only surprises were limited bandwidth WiFi (so we couldn't stream problem, we just rented Redbox movies) and no dishwasher (not a huge issue, just a surprise). We would definitely stay here again!